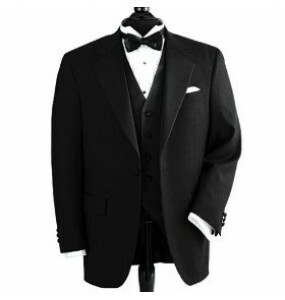 100% vegan tuxedo package includes nonwool tuxedo jacket, tuxedo shirt, matching non-wool tuxedo pants, and a bowtie, straight necktie, vest, or cummerbund. Buy for less than a rental! Free shipping.